Lock in a great price for Casa Daikiri – rated 9.2 by recent guests! I can’t have any bad words for Casa Daikiri, that place is just amazing in every sense at least it was in my own experience. 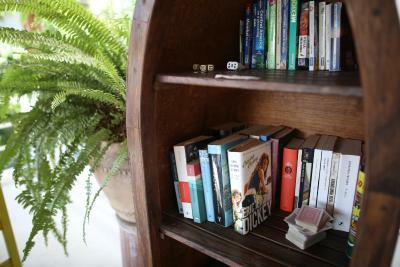 Lorenza was amazing, let me split my stay and I was able to keep my luggage here whilst I travelled down the coast for a week. I stayed in two different dorms and both were extremely clean and the beds comfy! The other staff were super helpful as well. Theres a fully equiped kitchen so making food was easy! 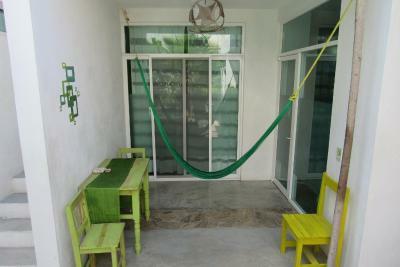 Awesome location, Only a few blocks back from Zicatela beach. It well kept and wit nice chill staff. Modern and all very well thought out. 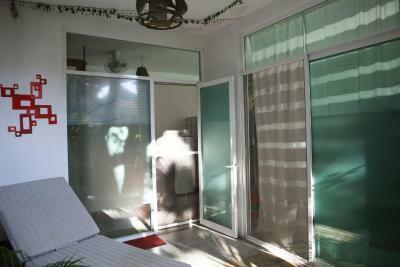 Its a beautiful house, modern, fully renovated, well decorated, with a very fine pool for a quick swim. 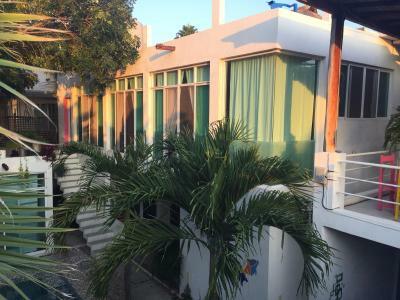 It's close to everything on Zicatela Beach. 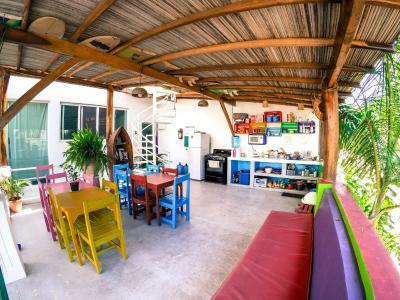 You have a corner store and some restaurants nearby, as well as yoga center and all the stores of the main strip of Zicatela (restaurants, bars, gifts shops etc). 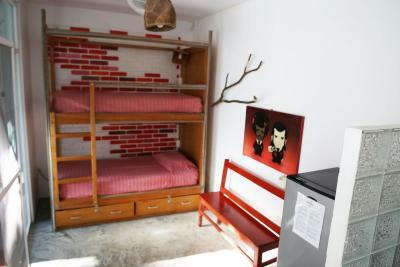 The place is quiet, with little guest, the dorm is really big, so you have space. 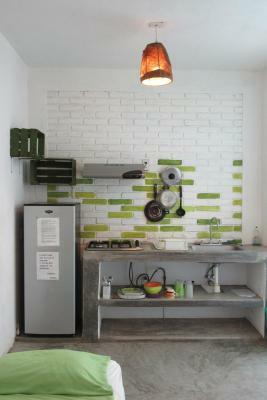 You can use the kitchen and the fridge. It's a cool place. 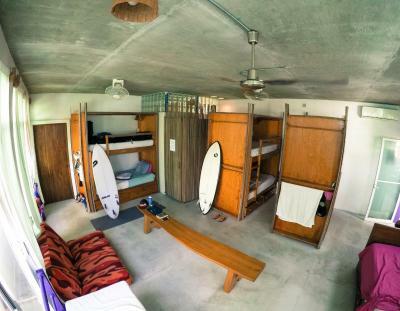 Very nice staff and clean and quiet dorm. I really liked the rooftop and the pool is nice. There were very little people when i was there so I don't know if it's usually more crowded but I enjoyed the relaxed atmosphere. 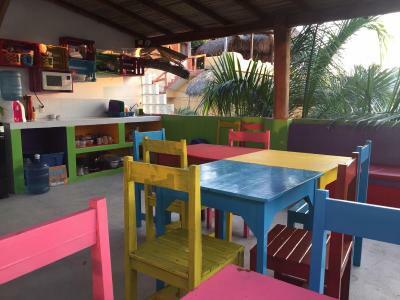 Its a 10 minutes drive to the center of puerto escondido where all the nice beaches are and 5 min walk to the zicatela beach with bars and restaurants. 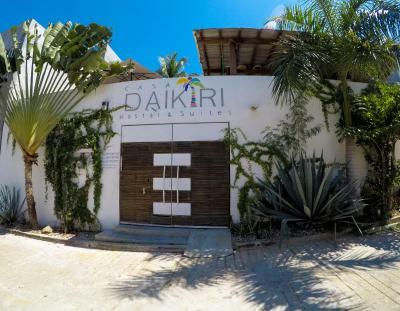 Featuring an outdoor swimming pool, BBQ area and free WiFi, Casa Daikiri is located in Puerto Escondido, a 12-minute walk from Zicatela Beach. 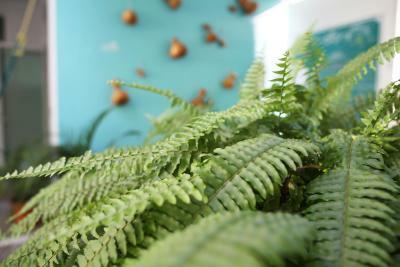 1.7 miles from Commercial Walkway, the guesthouse provides a garden and a terrace. 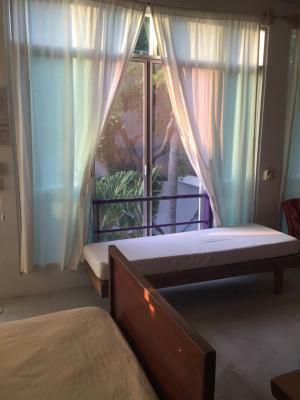 All rooms have a patio with sea views. 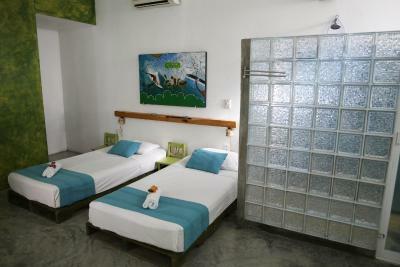 Guest rooms at the guesthouse are equipped with a seating area. 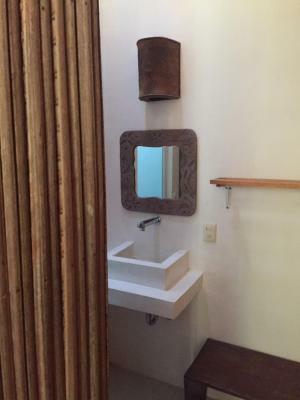 Every room has a private bathroom, while some rooms contain a kitchen with an oven. The rooms will provide guests with a microwave. Snorkeling is among the activities that guests can enjoy near Casa Daikiri. 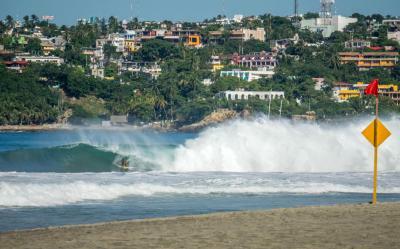 Downtown Puerto Escondido is 2.2 miles from the accommodation. 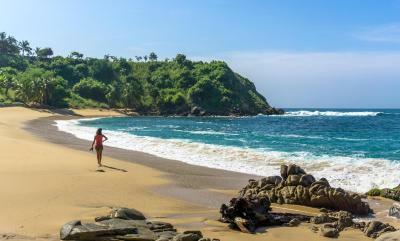 The nearest airport is Puerto Escondido International Airport, 4.2 miles from the property. 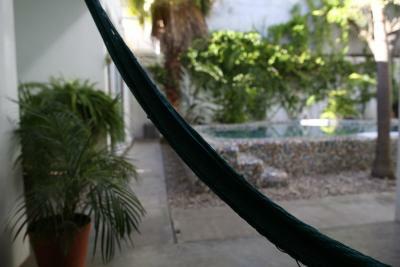 When would you like to stay at Casa Daikiri? 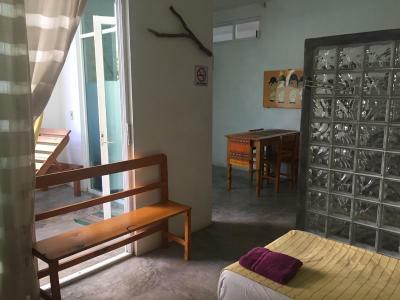 This suite has air conditioning, dining area and kitchenware. 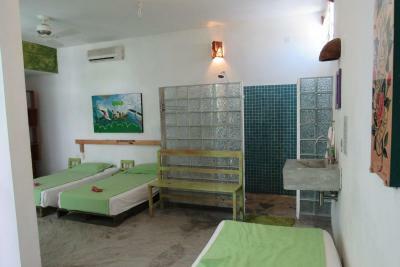 This dormitory room features air conditioning, seating area and tea/coffee maker. 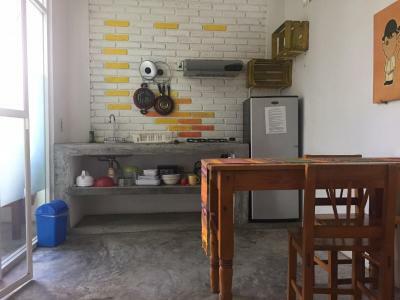 This triple room has a tea/coffee maker, kitchenware and seating area. 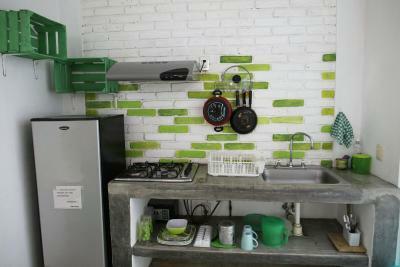 This dormitory room features a seating area, kitchenette and tea/coffee maker. 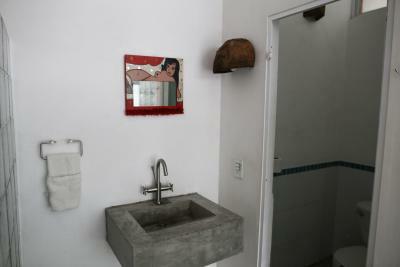 House Rules Casa Daikiri takes special requests – add in the next step! I didn't like the cameras in the rooms. 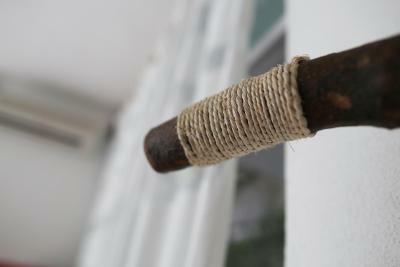 I think there shouldn't be such type of control within rooms, I felt watched. A no go! Calm, beautiful, clean, great location. But the dorm room is just extremely hot to sleep. The dorm is really hot at night and the fans don't help much. The mattress I was sleeping on was very tough for my back, I woke up with back pain. 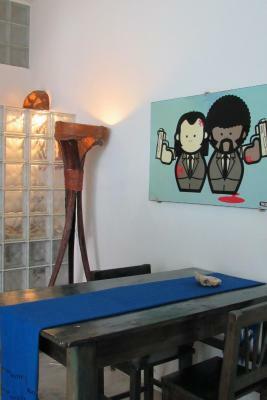 The staff is friendly but sometimes put very loud music during the day, even tough you're there and maybe not liking their music so much. I ask them to lower it and they did nicely. There are long-term guests on the first floor and at night they hang out together, and you can join, but not feel so much part of.